Are UFOs or Merkabas making Crop Circles in Wiltshire ? 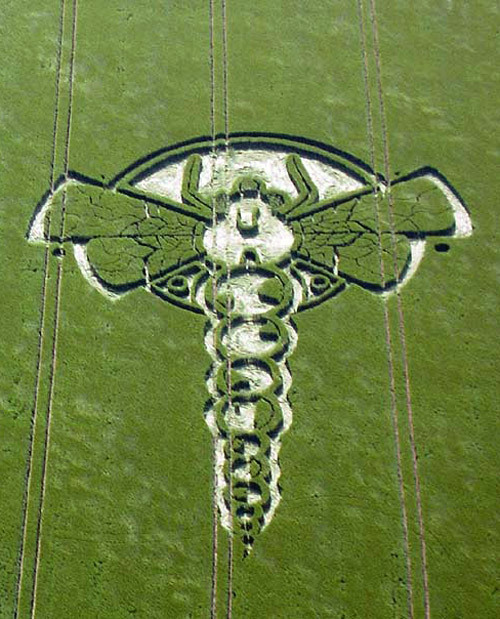 Is it possible that there is an inter-dimensional intelligence behind the creation of some of these Crop Circles reported around the world, however mostly in the Wiltshire area of Southern England ? 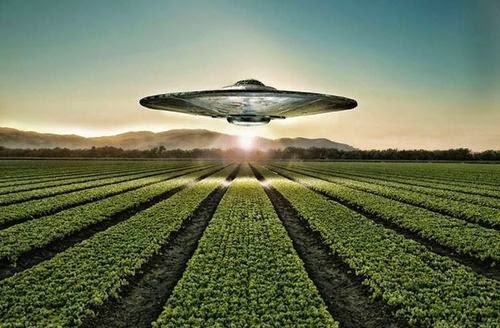 More often than not, Crop Circles are linked to Extraterrestrials leaving little room for imagination. Its only when we dwell deeper into the facts surrounding the mysterious phenomena do we get to understand the true complexity and compassion behind some of these great patterns laid out in the fields. There are have been reports of balls of light creating some of these formations, which has been confirmed by multiple, credible eye witness accounts. There have also been some reports of beams or shafts of light coming down from the sky and creating formations. Some have actually filmed the creation of what i believe is one of the most exquisite and powerful formations we've seen in the recent times. The 777 Aum Crop Circle ... the story behind it is just mind blowing ! Here are some of the beauties we've seen so far .. 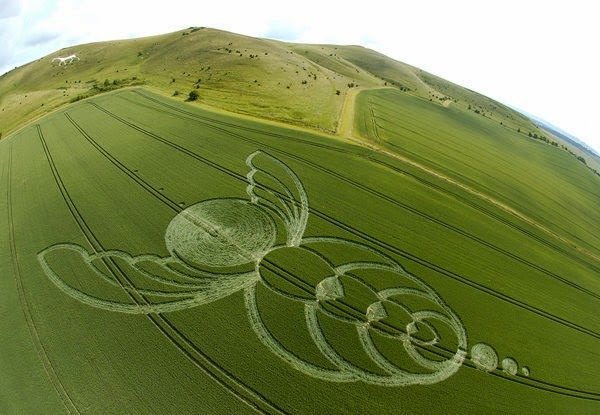 The Honey Bee Crop Circle ... Wiltshire ! 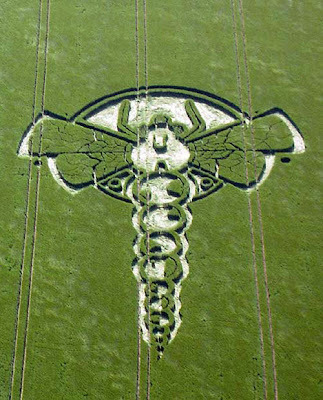 The Dragonfly Crop Circle ... Wiltshire ! 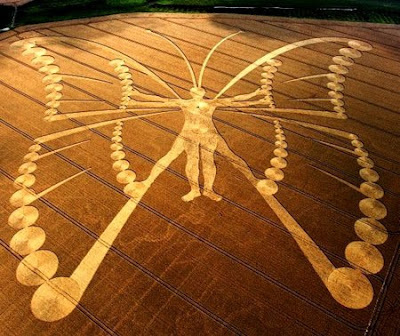 The Human Butterfly Crop Circle (The Biggest Crop Circle Reported So Far) ... Holland !